Moisés Arias (born April 18, 1994) is an American television and film actor. He is best known for playing Rico on the series Hannah Montana and Biaggio in the 2013 Sundance film The Kings of Summer. Moisés Arias was born on April 18, 1994 in New York City, the son of immigrants from the Paisa region of Colombia. He was brought up bilingual and is fluent in English and Spanish. His brother is Kickin' It actor Mateo Arias. Before starting his acting career, Moises graduated from Barbizon Modeling and Acting School in Atlanta, Georgia. Moisés has made guest appearances on shows such as The Suite Life of Zack & Cody, Everybody Hates Chris and Wizards of Waverly Place. 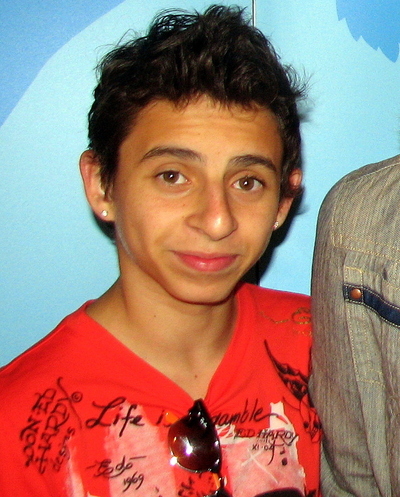 He had a recurring role as Rico on Hannah Montana, and became a series regular in the show's second season. In 2009, he played Andre in the Disney Channel Original Movie Dadnapped. As a regular on the Disney Channel, he participated on the first and second Disney Channel Games on the red team. He also participated in the third Disney Channel games on the Yellow Team (Comets). His main role while at Disney was as Rico Suave in 'Hannah Montana'. He appeared in music videos for Pearl Jam, and the Jonas Brothers video for their song "SOS", and Parmalee, and the 2006 film Nacho Libre in a minor role. He participated in the Guadalajara Film Festival (2009) during the presentation of the movie The Perfect Game with Eva Longoria. Arias appeared in Beethoven's Big Break in 2008. He appeared on the ESPN family of networks as a roving 'sideline' reporter conducting interviews with fans and players at the 2009 Little League World Series. He appeared in Wizards of Waverly Place and played Max (Jake T. Austin)'s conscience. Arias and his brother directed a series of YouTube films under the user name Moiswashere. 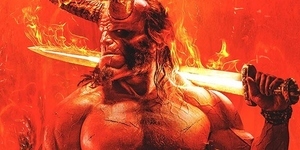 In 2009 they worked on a film called Motocross Madness. In mid-2012, Arias filmed The Kings of Summer, which had its premiere on January 19, 2013, at the 2013 Sundance Film Festival to rave reviews.